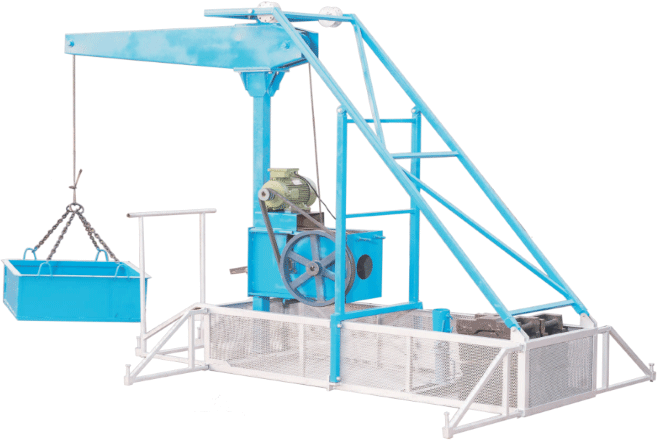 The most notable aspect of this equipment is its compact size. It occupies less on-site space. Its modular design enables it to be quickly and easily assembled at the site. 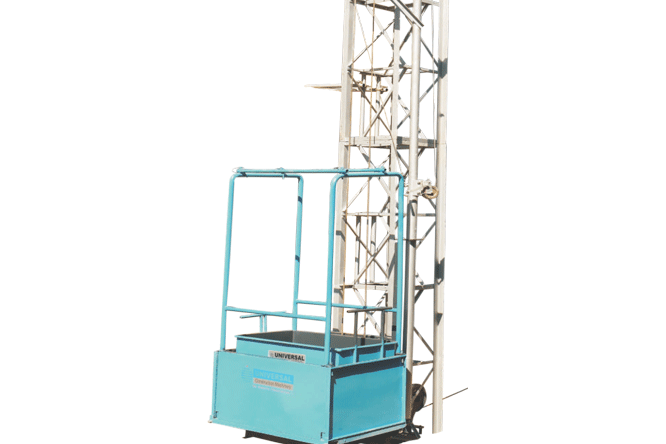 It is extremely safe in operation and can dispense material at any required height easily, reducing the labor required. 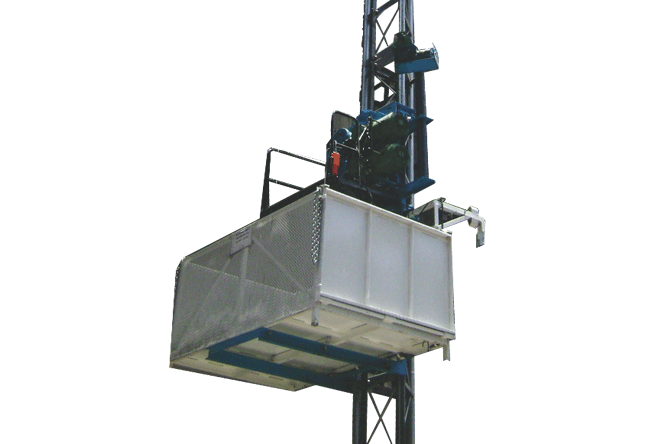 Specifications for the lift are as mentioned below. Motor – 3 H.P. 3-Phase Electrical Motor. Max. Speed – 26 Mt./Min. Gross Load Capacity – 300 Kgs. 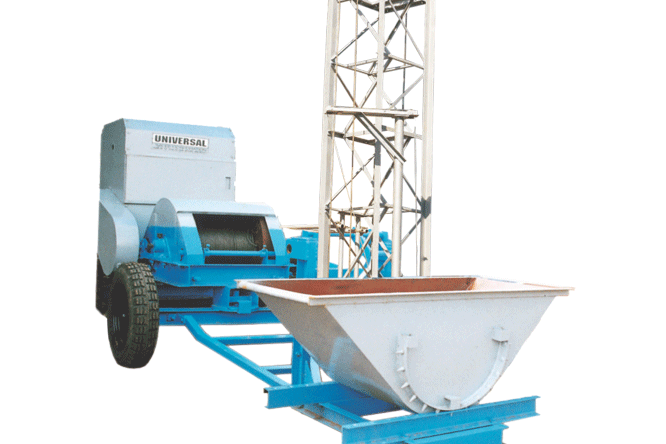 Bucket Weight – 50 Kgs. 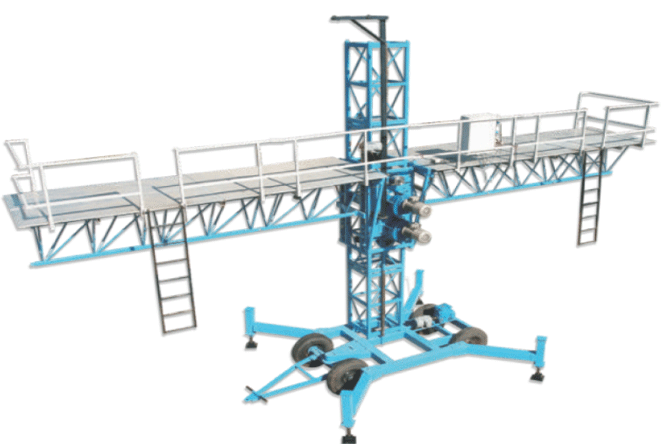 Transportable Weight – 250 Kgs. Max. 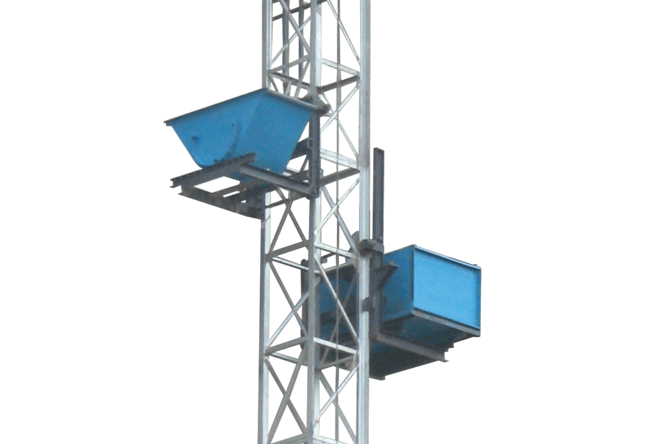 Operating Height – 30 Mt. 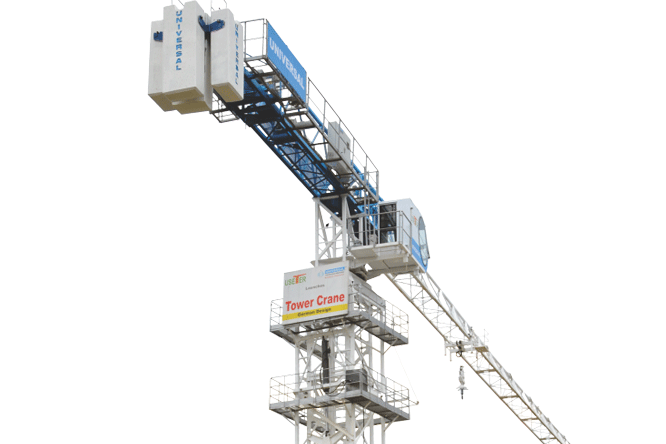 Effective Boom Length – 1000 mm (From Slab). Wire Rope – 8 mm Diameter.